Everything you need to reach your next big idea – and seriously impress those clients. 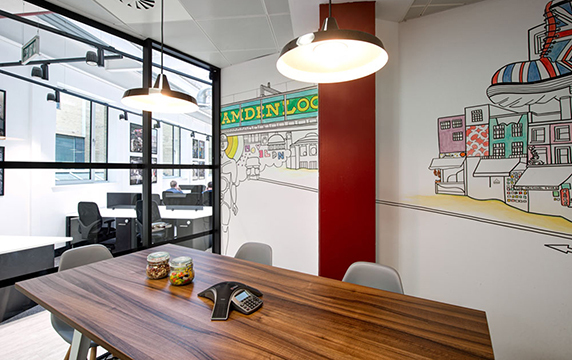 Our meeting rooms in Camden boast a spiffing bright and modern design and come decked out with whiteboards, TVs, phone conferencing, ninja-fast WiFi, unlimited snacks and endless productive vibes. Take your pick! 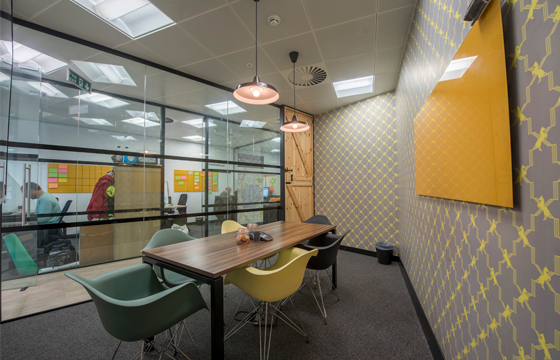 Hold your next meeting in Camden style in this comfortable meeting room that’s kitted out with everything you’ll need including a TV to easily share your screen with up to 8 people. Did we mention free coffee and all the pretzels you can eat? 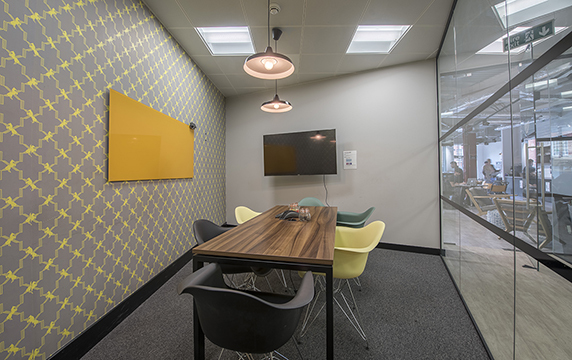 Flooded with natural sunlight, the Cyberdog meeting room can hold up to 6 and has beautiful original illustrations along the inner walls. This is a great space to meet with clients or close your next big deal. Did we mention free coffee and all the pretzels you can eat? Using the meeting rooms a lot? If you want to use the meeting rooms often, become a flex member to take advantage of the discounted member pricing!